In re: Jerry Wayne Oakes, et al. Tulsa, OK - Riverview Park Estates, LLC sued Imperial Investments, LLC, Stephen C. Pereff, Inc., Michael J. King, S. Gregory Pittman, Winters, King and Associates, Inc. seeking injunctive relief. Tulsa, OK - City of Tulsa sued J.S.C. Properties I, LLC a/k/a JSC Properties I, LLC, et al. The Commissioners appointed by the Court awarded the Defendants $115,000.00 for the property taken and damages to the remainder. provision in Minn. R. Civ. P. 6.02. City of Tulsa v. Mark A. Becker, et al. Tulsa, OK - The City of Tulsa sued Mark A. Becker, et al. City of Tulsa, Oklahoma v. Eric Deatherage, Estate of Robert Lau, Marvin King, et al. Tulsa, OK - City of Tulsa, Oklahoma v. Eric Deatherage, Estate of Robert Lau, Marvin King, et al. City of Tulsa, Oklahoma v. Rick Sturner, et al. Tulsa, OK - City of Tulsa, Oklahoma v. Rick Sturner, et al. 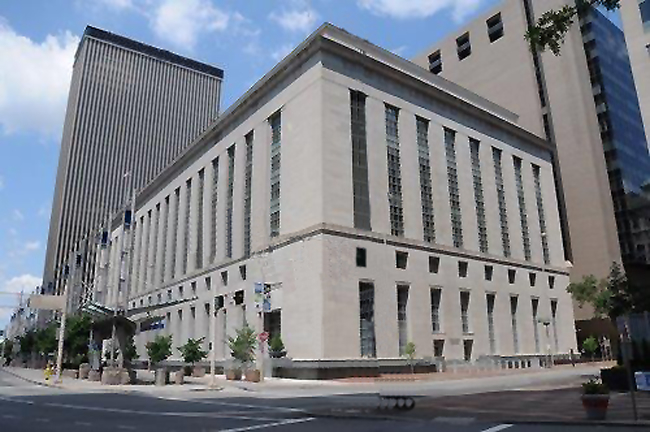 Tulsa, OK - The City of Tulsa sued Steven R. Elliott and others on eminent domain theories seeking to acquire certain rights, title and interests in real property for public use by condemnation. City of Tulsa v. Larry Wheeler, et al. Tulsa, OK - City of Tulsa v. Larry Wheeler, et al. El Reno, OK - ONEOK Gas Transportation, LLC sued Genesis 4 HIM, LLC, et al. on an eminent domain theory. City of Tulsa v. Robert Brinkley, a/k/a Robert William Brinkley, et al. Tulsa, OK - The City of Tulsa sued Oklahoma Natural Gas and others on eminent domain theories seeking to acquire by condemnation certain rights, title and interest in private property for a public use.